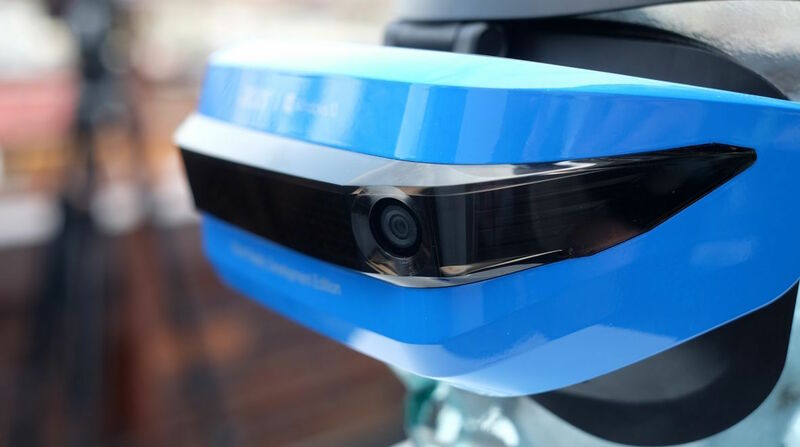 Thus far, the two Windows Mixed Reality headsets that Microsoft has made available - the $299 Acer headset and the $329 HP headset - have been available for pre-order to developers, with a rollout scheduled for sometime this summer. Today, the software giant has finally put them on sale in its regular online store, and opened it up to everyone in the process. They're still Developer Edition headsets, but there's nothing special you have to do to prove you're a developer. You just have to agree to the terms, which - after a quick check - appear to be similar to any other purchasing terms. You'll also need Windows 10 with the Creators Update and Developer Mode enabled. As for the devices themselves, they're both pretty similar. They both have two 2.89-inch 1440 x 1440 high resolution LCD displays, 90-degree field of views, 90Hz display refresh rates and inside-out tracking. The only differences are that the HP has a double-padded headband and a removable cable. As for the reality bit, despite being called Mixed Reality, these headsets are currently more virtual than augmented - at least for now. Interestingly, the recommended specs to run these bad boys have been increased since we last saw them. Instead of 4GB of RAM and a graphics card with DirectX 12 support, you'll need 16GB of RAM and either a Nvidia GTX 980 or AMD Radeon RX 480 equivalent or greater. That is quite a difference, and may be down to the fact that Microsoft is still optimizing software. These headsets also don't come with Microsoft's Mixed Reality Controllers, which will be available in the fall. They'll be bundled in with the consumer edition of the headsets for an extra $100, which'll bring the total price of the Acer headset to $399 and the HP headset to $429. You can read our ultimate guide to Windows Mixed Reality headsets for everything you need to know.